Photo challenge: the “inside” idea can be as wide-open as your imagination wants to make it. 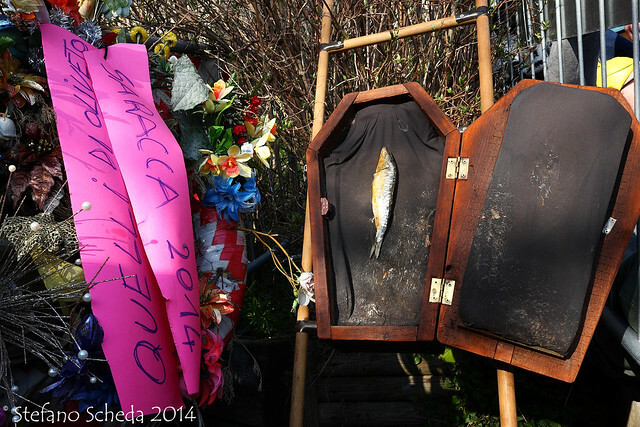 Funerale della Saracca (Burial of the sardine) – Oliveto, Bologna, Italy. When I was little and my goldfish died, they only got be buried in the garden, nothing fancy like this! The death of Italian food! Oh, no! That is a really great choice Stefano! Thank you, Lynn. The celebration was held just the previous sunday, so I took advantage of this new shot.